While dinner parties and gatherings at bars are classic plans for a reason, it’s sometimes nice to shake things up a bit with a new and creative way of celebration. For any resident of Reno, NV, looking to plan an artistic outing, a painting party at Canvas Junkies is just what you’ve been searching for. Pre-Selected Image: You or your painting party guests can’t paint your precious pup or favorite vacation photo (not at the class, anyway), but you’ll have the advantage of a painting professional guiding you through a chosen image. No Numbers: If you’re used to paint-by-numbers projects, you’ll be a bit surprised when you see a blank canvas in front of you. Don’t worry though; it’s all part of the fun. With no numbers, you and your party cohorts can express your artistic creativity more freely while still getting any needed assistance from the class instructors. Daytime & Evening Classes: Painting classes and parties can include any budding artists over the age of seven, but you’ll need to schedule accordingly depending on your age group. Daytime classes are for families and the younger crowd while evenings are saved for painters 21 and over. Supplies Provided: Don’t worry about sending out a laundry list of supplies to your party guests; Canvas Junkies provides brushes, paints, a canvas, and tunes for some inspiration. Possibly Messy: Although aprons are provided, splatters can easily start to fly as you become more and more engrossed in your masterpiece. Consider suggesting to your guests that they wear a pair of shoes that they won’t mind getting a little colorful. Welcome & Encourage Amateurs: Don’t worry if you and your party guests aren’t experts—classes at Canvas Junkies are for painters of all skill levels. Whether you’ve painted countless pieces or nothing at all, enjoying a beverage and putting brush to canvas is a fun experience anyone can enjoy. Now that you know the basics, you can start planning your painting party bash. 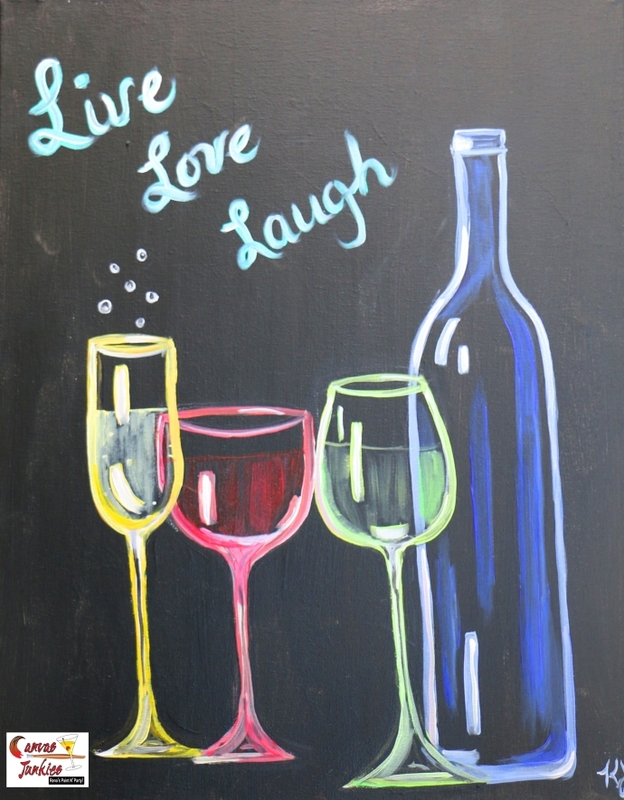 No matter what type of event you’re celebrating, a class at Canvas Junkies is the perfect choice for a creative and fun night that you won’t soon forget—mostly because you’ll have a beautiful painting to take home afterward. For more information, call (775) 221-7576, or visit the website today.